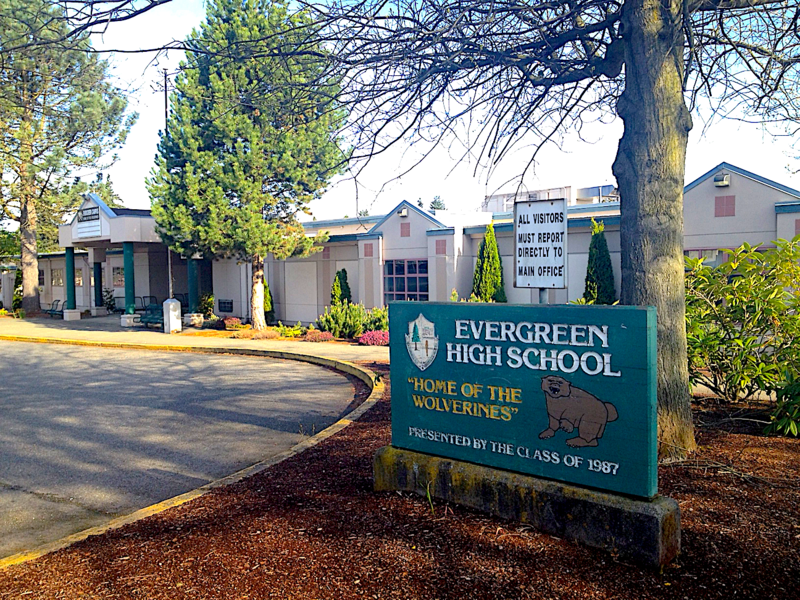 Evergreen High School will open (again) as a unified school after a 9 year experiment as a set of three schools. The school is inviting the public, alumni, and students to join in a rally and assembly to celebrate the reunification of the school on opening day Sept. 6. In 2007, Highline Public Schools made the decision to convert Evergreen High School near White Center into three autonomous schools sharing the same campus (“small schools”) each with a particular educational focus. The idea was that a reduction in the principal-to-student ratio would improve graduation rates. The plan was originally funded by the Bill and Melinda Gates Foundation).The three small schools were named: Technology, Engineering & Communications School (TEC), Health Sciences & Human Services High School (HS3), and Arts & Academics Academy (AAA). That 9 year experiment ends with the Grand (re) Opening of Evergreen as a unified campus and school on Sept. 6. In an invitation sent out by the "Friends of Evergreen" they announced the opening day events.